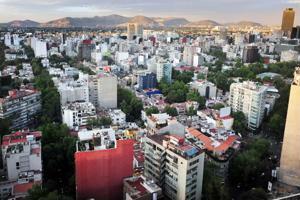 Mexico's economy has been uneven over the last several years. Gross domestic product, for example, rose 6.4 percent year over year from 2017 to 2018, based on the May GDP report by the National Institute of Statistics and Geography. But more recently, other indicators have dropped. June 22 marked the INEGI's newest release of economic activity data, which showed a 0.6 percent drop during the first quarter. Declines in the agricultural sector, along with other industries categorized by INEGI as "Primary Activities," were largely responsible for this contraction. Activities including construction, mining and management also fell off, although not as much: a 0.4 percent decline as opposed to the 1.7 percent loss of agriculture and its related verticals during the same period. Finally, the segment of the economy including professional, scientific and technical services sector, in addition to hospitality-related services, saw a drop-off of 0.5 percent. Many of the political and business leaders of the world have their eyes focused on Mexico, with its presidential election scheduled for July 1. The event will have massive implications on the Mexican economy due to the leftist-populist candidate Andrés Manuel López Obrador, who is overwhelmingly favored to win. According to Reuters, Obrador's success in bringing together a wide coalition of supporters, ranging from economic progressives to staunch religious conservatives, may make for an uncertain beginning, but uniting disparate voting blocs behind centrist economics and an anti-corruption mandate could ultimately bode well for the nation.